Do I Need to Update My BIOS Regularly? - Ask Leo! I just updated/upgraded my computer this past February. New motherboard, cpu, ram, etc. There are a couple items from my older computer also. I like to keep my software, utilities, anti-virus, and so on, up-to-date; generally when a new update/version is issued. My question is this. Since my computer is fairly new and appears to be operating normally, is it necessary to update the BIOS, motherboard chip-sets, and so forth? My BIOS is at or less than 6 months old. I mean, I know that “if it ain’t broke, don’t fix it”! But I just want to be alright with either keeping what I’ve got or update it. It’s an interesting question. Even more interesting is that the answer may be changing. We stress how important it is to keep your system software up to date with the latest updates and patches and the like. Even applications frequently self-check and notify you automatically when updates are available. The BIOS (or Basic Input/Output System), and in more recent computers, the UEFI (Unified Extensible Firmware Interface), is software that’s “hardwired” into your computer. (I’ll refer to both as “BIOS” throughout this article.) It’s the software that runs when you first turn on your machine — the software that does the power-on self test (aka “POST”). And it’s the software that knows how to find and load other software, like the operating system. The BIOS may also be used by the operating system as an interface to access the hardware on your machine. But recent events have shown us that something may indeed be “broke”, and it’s a BIOS update that would fix it. More on that in a moment. 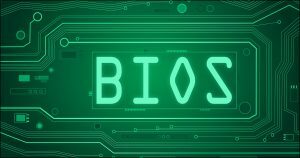 Unlike your operating system or even your application software, the BIOS rarely represents a vulnerability to your system. In fact, BIOS bugs, while they do happen, are typically infrequent and of low impact. But they can happen, and if a fix for a problem you’re experiencing is a BIOS update, I would take it. Note, however, the wording I used: “if a fix for a problem you’re experiencing“. Unlike the rest of the software on your machine, I do not generally recommend updating the BIOS just because there’s a new one available. Only when you’re experiencing a problem fixed by a BIOS update (or perhaps rebuilding a machine from scratch) would I proactively look for and install the latest update. BIOS updates are kind of funny, since they update the firmware on your motherboard. As such, there’s a slight risk: if the update fails for any reason, you may not be able to reboot your machine. The machine may simply appear dead. Most modern motherboards now include a reset mechanism to restore a BIOS to some original default. Sometimes it’s a small switch on the motherboard itself; sometimes it’s a jumper that temporarily connects two exposed connections; sometimes it’s something else. And sometimes it doesn’t exist. There are still motherboards that cannot be reset. Sometimes it’s due to age. Sometimes it’s a specific security choice to avoid someone being able to take over a machine by replacing its BIOS. Unfortunately, your machine may, indeed, be experiencing a problem in the form of a security vulnerability, and you may not even be aware of it. A class of CPU architecture vulnerabilities, beginning with Spectre and Meltdown, represent a CPU-level issue that for some machines is fixed or mitigated by an update to the BIOS. The only way you would know this would be to check with your computer’s manufacturer. Your computer will function normally even with this issue in place. If you have the opportunity, I would sign up for a notification mailing list from your computer’s manufacturer. I don’t think this is the last we’ll hear about this type of vulnerability needing a BIOS update. Updates to the BIOS of your computer should come only directly from that computer’s manufacturer. News and information should be available from the manufacturer’s support website. If you’ve built your own computer, then go to the website of the manufacturer of that computer’s motherboard. That’s the canonical source for information about your computer, and the proper source for any and all updates to that computer’s BIOS. The Journey to My New Computer: Update, Update, Update - My new machine is backed up, so the first thing after Windows setup is to update, update, and update again. Why Does My Network Not Work After Resuming from Standby? - Network failures after standby remain common, particularly in older machines. There are a couple of things to try. Why UEFI? - UEFI is a replacement for the original BIOS that’s been running computers for almost a quarter of a century. UEFI allows manufacturers to take advantage of the security capabilities of the machines they produce. I have to agree with Leo. Computer users seem caught in a neverending cycle of upgrading and patching when it comes to software. Buf if the patch/upgrade isn’t for security purposes or to fix a bug that could well affect you… consider letting it go. If everything is running well, why upgrade? Again, I must stress, if the patch/upgrade is security-oriented or fixes bugs, install it. Otherwise… eh. right i have this motherboard MSI 6787 VER2. now the problem is when i connect the dvd rom to the white IDE conntect,, in the bios it just shows funny lettering and will not boot from cd rom. so i connected my 40GB hard drive to the white IDE connecter again it just shows funny lettering and only picks it up as 6GB. now the other IDE connecter works fines pick eveything up as it should. my question is do i need a bios upgrade to fix this problem. If you have a motherboard with something like Q-Flash then it’s easy, and if you have dual bios. I know you mentioned a bios reset, which is what a dual bios does, but a lot of times as a person that overclocks I need to keep the bios updated for stability. I enjoy messing around with my various PCs, such as installing a new OS, upgrading the version of the OS (like going from Home to Pro), creating a dual-boot configuration and so on. But the one thing I was never inclined to do was change the BIOS. That just seemed like a fate that I didn’t want to tempt. Plus, I never once had an issue that could be corrected by doing so. Update Windows 7: Just keep using Windows Update. I’m not sure what you’re looking to update to. Check BIOS: contact your computer’s manufacturer. The instructions differ from one computer to another. Computer manufacturers seem to stop updating the bios after about 5 years. Perhaps I should say they stop providing technical support for the product. When you have an older cpu that a PC manufacturer has abandoned support for and a security issue is present or if you change operating systems, you may be able to get a firmware update from the CPU manufacturer (such as Intel).